What is Domain Canonicalization or Canonical Tag and Its importance? Domain canonicalization happens when a website has similar pages and the user wants to separate them in search engine results. This process uses rel canonical tags who tell the search engines that a specific URL represents a copy of the master page. Why is Canonical Tags and Domain Canonicalization Important to SEO? For the user, this is a single page. 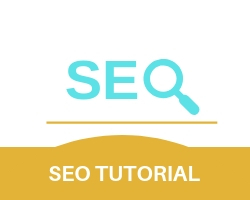 but for search engines, these 4 pages end up being unique pages which results in multiple copies of the same page being displayed on SERP. and as a result, the SEO of the website suffers. Use Canonical Tags as Self-referential. Making rel canonical tags self-referential, you eliminate multiple steps and end up saving time and as a result SEO efficiency is increased. Your home page has the highest amount of duplicate URLs and by canonicalizing it, it performs more efficiently and effectively. Bad coding leads to creating wrong URLs for websites completely bypassing the whole point of canonical tags and spot checking especially for e-commerce websites prevents disastrous errors. Near similar pages have 90% similarity between them and using canonical pages can be recommended, but care must be taken as non-canonical pages are not usually ranked. So as a result if mistakes occur, the page with the highest SEO potential might not end up getting ranked.